Sometimes I feel like I'm walking on sunshine when I'm wearing a new Star Wars outfit. In this case, it's more like "ewoking" on sunshine! 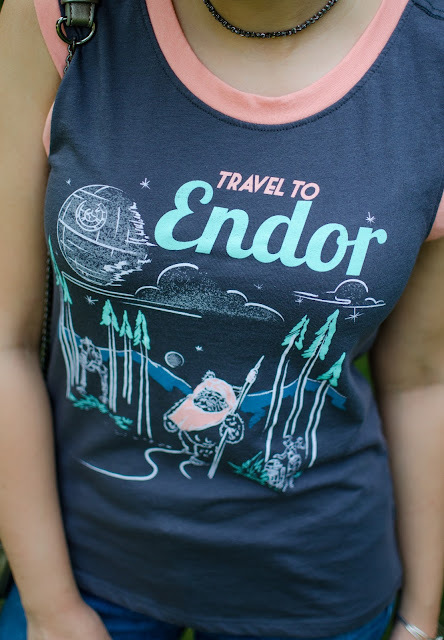 This Travel to Endor tank top from Her Universe is one of my new favorite tops because it's nerdy nod is so subtle. 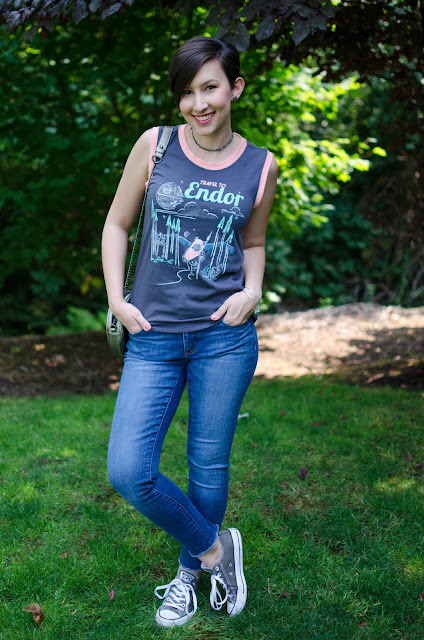 In fact, this top is so subtle that when I was shopping at REI last weekend, one of the cashiers said, "Oh, where is Endor?" At first I thought she was joking and then I quickly realized she had never seen Star Wars before. She thought it was a real place! Well...I'm not saying Endor isn't a real place but...you know what I mean. Even though the Ewok is a dead giveaway for any fan of Star Wars, I love that some people don't notice the sci-fi reference. I paired this tank with my favorite raw-hemmed jeans, a comfy pair of Converse sneakers, and a new Star Tour Alex and Ani bracelet that I got from D23 Expo. After all, Endor is one of my favorite destinations to visit on Star Tours! 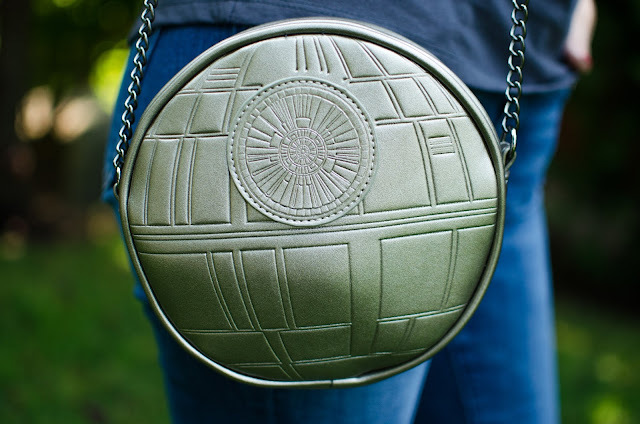 To finish it off, I added my Death Star purse from Bioworld to complete the look. Coral and mint are my two favorite colors right now so I absolutely love that this top uses both of my favorite shades! Ladies, this top runs true to size without being too tight. I always wear an XS in Her Universe clothing and that's what I'm wearing here. The armholes are a little big, but not like a muscle tee to show off your bra. 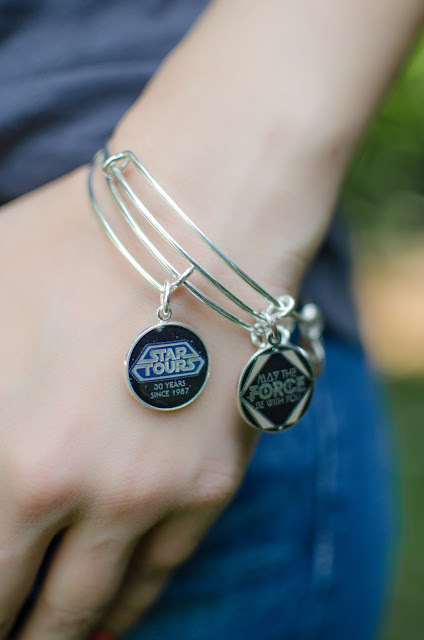 It's also available at BoxLunch stores. If you live near one, definitely check it out and try on this tank!